So get ready for the party with your friends and look this up. We can't think of a food that we can't stand. Food must be simple but must stay curious. I love fuss-free cooking when I have some guests.The recipe for Chicken 65 comes under this category. This recipe for chicken 65 is definitely a version that you had never tried before. 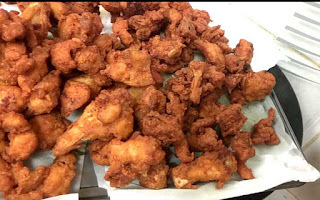 For sure, you can impress your guests with this yummy simple chicken recipe that is really pretty to eat. 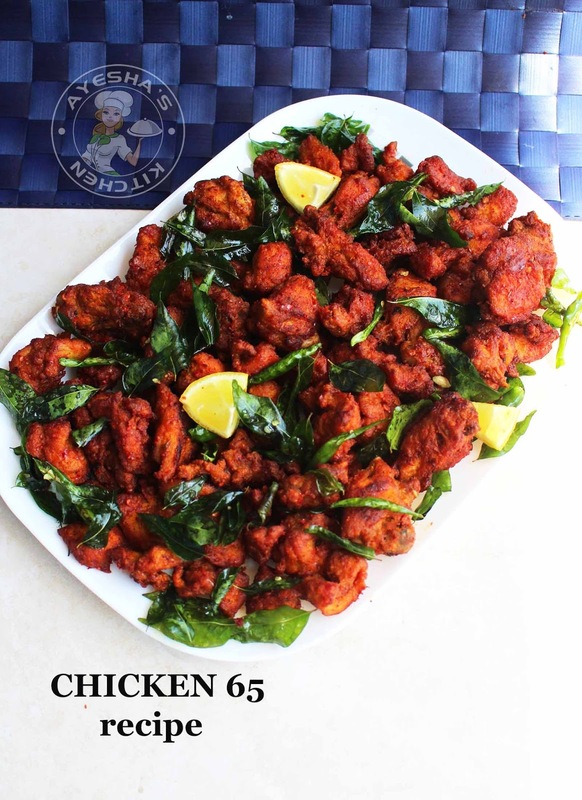 Chicken 65 is a spicy, juicy chicken recipe which is deep fried and then coated with a spicy sauce. 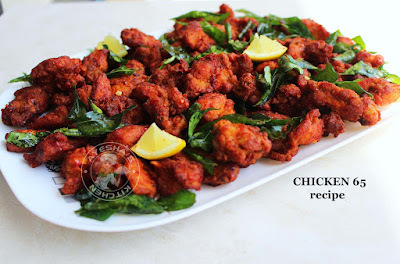 This chicken recipe is a popular South Indian starter or appetizer or side dish bursting with the inviting chili and curry leaves flavor. Still, there are lots of variation in chicken 65 recipe. I have shared three different recipes for chicken 65 on my blog. 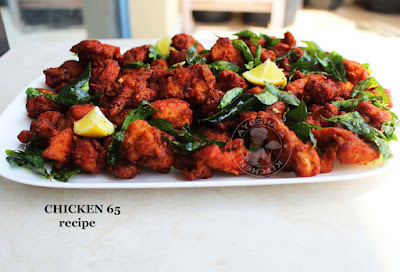 Again am back with yet another variation in this chicken 65 recipes that made me proud. I made this chicken starter last week, especially for my hubby's friends. I have received so many unexpected appreciations that means so much to me as a food blogger. 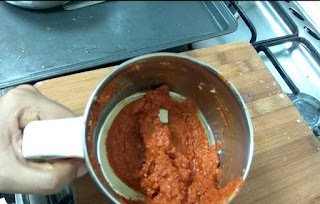 So am really happy to share that recipe with you guys too. 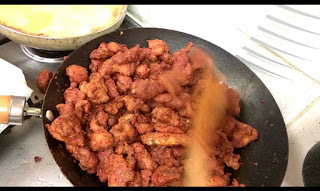 Here is the recipe showing how to make chicken 65 at home/ restaurant style chicken 65/ yummy chicken recipes. 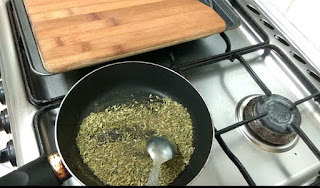 For making the fennel seed powder - Dry roast fennel seed for 2 minutes on a low flame, then powder it in a grinder. Set aside. 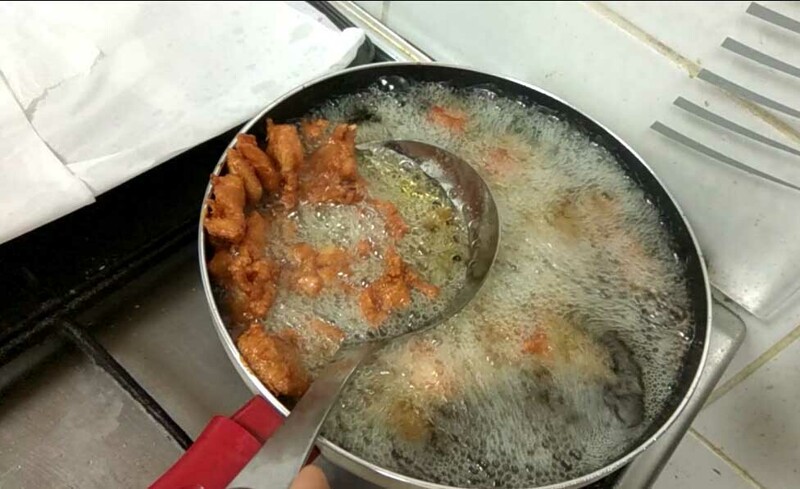 Let us start making chicken 65 - Wash and cut the chicken into very fine pieces (preferebly). Soak these chicken pieces in salt water for 15 minutes (this makes the chicken moist and juicy). 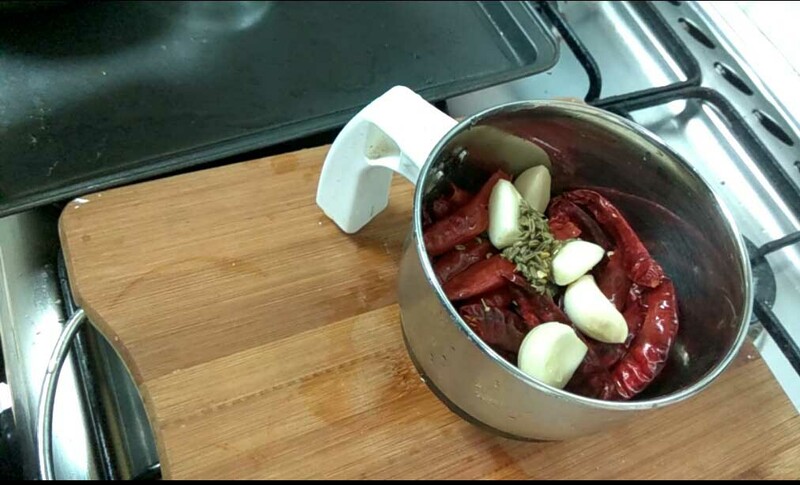 Meanwhile, prepare the marinade. Add chili powder, turmeric powder, ginger garlic paste, curd, chicken cubes into a bowl. Mix very well. 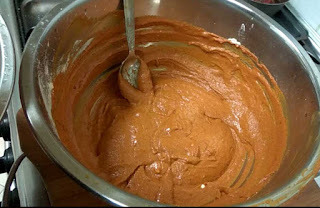 To this, add gram flour, cornflour, fennel seed powder, and salt. Again mix well with a dash of water. Finally, add the beaten egg and give a fine mix. Marinade must be very thick. 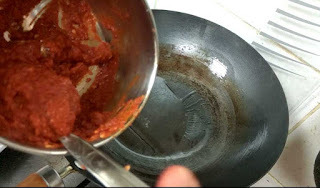 So do not add more water. 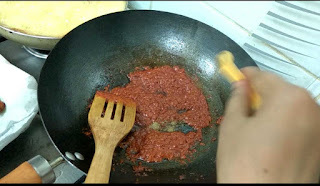 Add the chicken (drain the water completely) and mix well with hand. Keep refrigerated for 30 minutes. 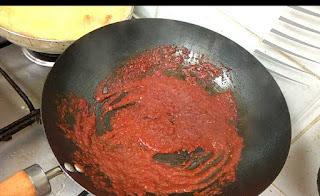 Heat oil in a deep bottomed frying pan for deep frying (preferably coconut oil). 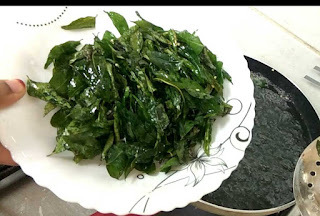 Fry green chilies and curry leaves until done. Transfer it to a plate. 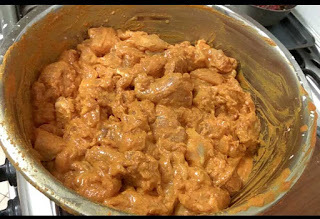 Then add the marinated chicken pieces one by one. Do not overcrowd. Fry until golden. Transfer it to a paper towel. 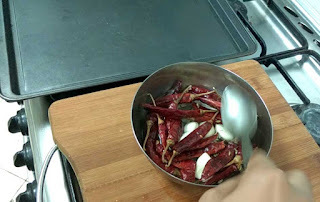 Final stage - Now heat a kadai/wok. Add a tbsp of chicken fried oil. 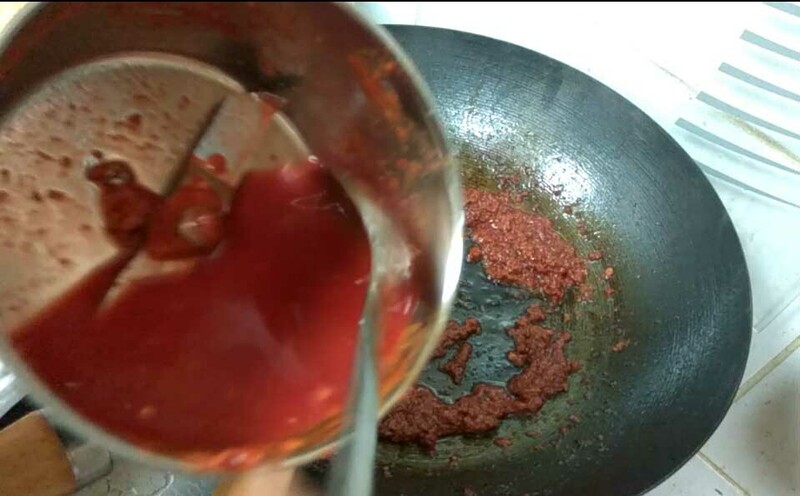 To this add the prepared chili garlic sauce (3 tbsp). Saute very well for few minutes. 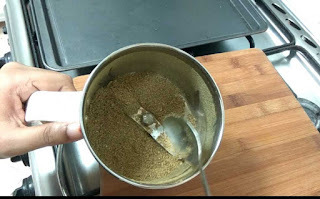 Then add quarter tsp of fennel seed powder and check for salt. Combine well and saute continuously. Add water (mix food color with some water in the grinder along with the leftover sauce ). Saute well until oil separates. 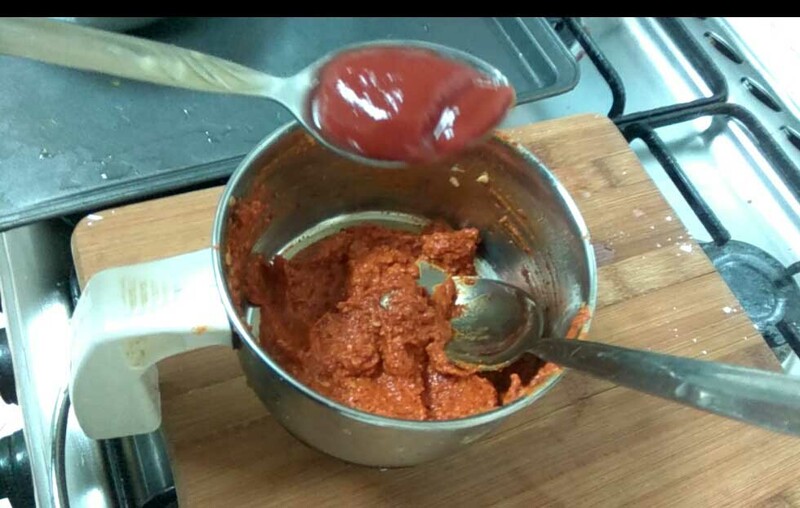 The sauce must be cooked well. Now add the fried chicken pieces and combine well to coat (For best result, you can do this in batches). Cook for few minutes or until done on a medium-low flame. Add the fried chilies and curry leaves. Mix well and serve hot. Yummy chicken 65 is ready.